Officially, my calendar tells me that it’s still spring. But judging by the temperature and the sunny blue skies, unofficially summer has already started. That summer breeze calls for an appropriate summer outfit, but most of all for some suiting accessories. For example a fashionable watch like this one. Last spring the off shoulder trend was already starting. Now, one year later it has expanded to much wider territories. One look at the runway and retail stores makes this very clear. Cold shoulder ‘everything’ and ‘everywhere’! 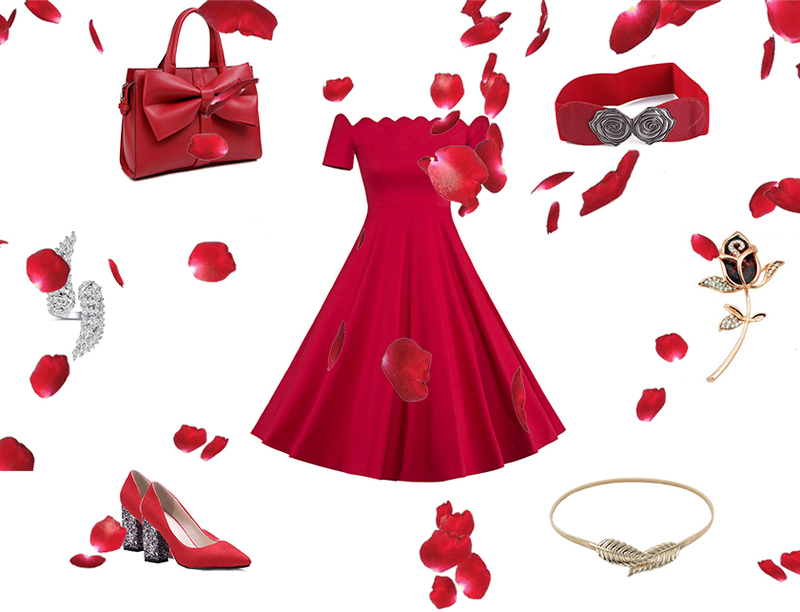 Red for Valentines Day: What better colour to dress up in than red for Valentine’s Day? The colour of love and warmth. What a perfect combination. We have no problem dreaming big lately. The cause could be this huge sticker of the world above our heads. 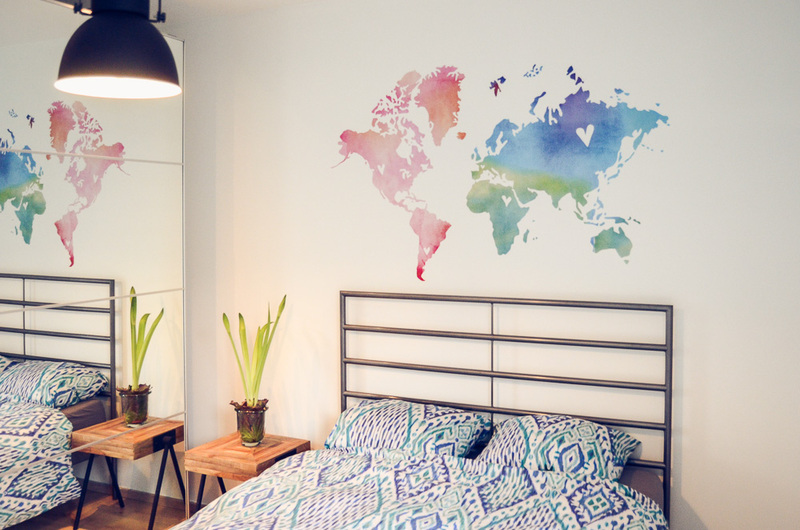 This beautiful watercolour world map wall sticker, truly captures our dreams. Yes, Valentine’s Day is coming. But that’s not the only reason to choose for the cutest powder pink colour. I’’s just a joy to wear and it makes you instantly happy. New Year’s Eve… that night a lot of people look forward to while others think it’s super overrated. I’m one of those people that gets excited. Not for the giant party but just for the fact of being together with all of your friends and… let’s not forget the chance to dress up in a fabulous outfit! When it comes to perfume, I really can’t choose. There are so many good fragrances. But I don’t want to stick to one of them every day. There is a clear difference between a summer and a winter and a day and a night perfume. Are we going to walk around in the city today? Or will I have a busy day in the office? All these moments deserve their own perfume. It is really getting colder outside. Hands and feet are turning into icicles. And our heads also love some extra furry protection. What about fluffing up your backpack, like this beautiful Kipling Fundamental backpack? Searching for some fun winter Christmas outfit inspiration? Than you are at the right place, because I have tons of it. So I created this little wish list for you. Boy, how I love a good old classic Christmas sweater with a nice slogan. Or are you looking into more festive details such as a festive necklace or earrings? Who says that basic has to be boring? Not at all. The good old combination of black and white scores every time. Add a nice splash of colour and ‘Voila’ there you have a nice and stylish combination!